Choosing a Hydraulic Torque Wrenches? THERE ARE NO SHORTCUTS - don't compromise Quality or Features. 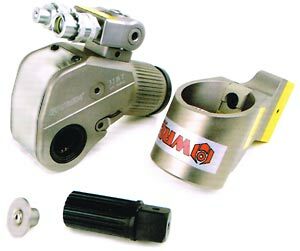 Hydraulic Wrench need Reaction Pawls, 360 degree Hydraulic Hose Swivels & Push Release Drive retainers to optimise Safety, Usability & Reliability. 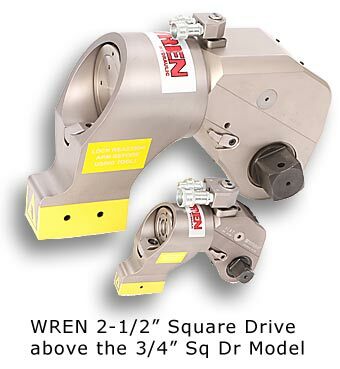 WREN offer tooling which allows the reaction arm to be positioned Horizontally & Vertically. This allows adjustments for long and short sockets. This also increases options when reacting against curved or uneven surfaces. 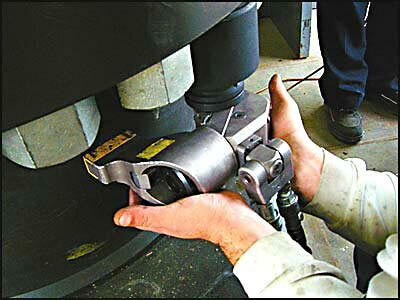 The hydraulic torque wrench is not limited to being used in line with the socket. The Reaction arm can be rotated through 90° to change the reaction options. Fine Arm Rotation of 6° permits critical adjustments. This feature is a must to utilize the tools effectively & Optimise safety. After releasing the arm safety catch, the arm simply slides off the back of the tool. This system also permits easy, fast, attachments of longer Alco arms to increase reaction options. When choosing a Hydraulic wrench, this feature should not be overlooked. This feature ensures longevity of the arm foot, and better grip on push off points. This is a must to avoid damage to the end of the arm. This is a must. 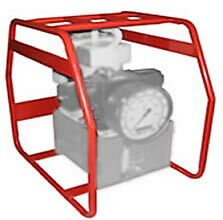 The Hydraulic Hose swivel allows you to rotate the hoses Horizontally or Vertically, away from danger. Safety is optimised. This feature is proven and simply makes the tool a pleasure to use. After using this feature, nothing will compare. The clamp is located at the rear of the wrench arm to protect it from damage. This allows fast, easy removal of the arm to fit longer arms. All wrenches incorporate this feature. The assurance pawl locks in behind each tooth of the ratchet as it rotates. This ensures the tool will ratchet without being held. The lever on the side of the tool is an over-ride if required. We have listened to users argue about lack of reaction pawls. All WREN wenches incorporate one. The square drive is retained via a Push in button retainer. 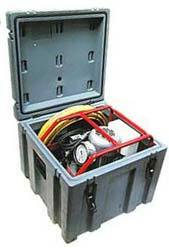 This has proven to be safe & fast for changing the square drive from Loosening to Tightening. This has been debated by manufactures for years. Coarse Or Fine Teeth? We have 20 years of in- field experience with this one. Using coarse, or widely spread teeth, simply decreases the chance of poor engagement. In Hydraulic Wenches the teeth re-engage every stroke of the tool at high force! Fine teeth simply invite failure. They only have to collect a small amount of grit or a filings from a chipped teeth and they loose there depth of tooth. This means less engagement area and failure follows. A coarse tooth gear is the answer. We also use reaction pawls to ensure a 100% ratchet rotation from each piston extension. Companies need reliability. People prefer brands they can rely on. 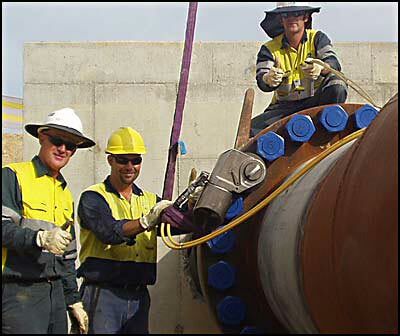 The wrenches we offer are tough, lightweight & designed for serious heavy industry users.